Will 2017 be the year you finally eat more vegetables, or support local producers, or be more social? 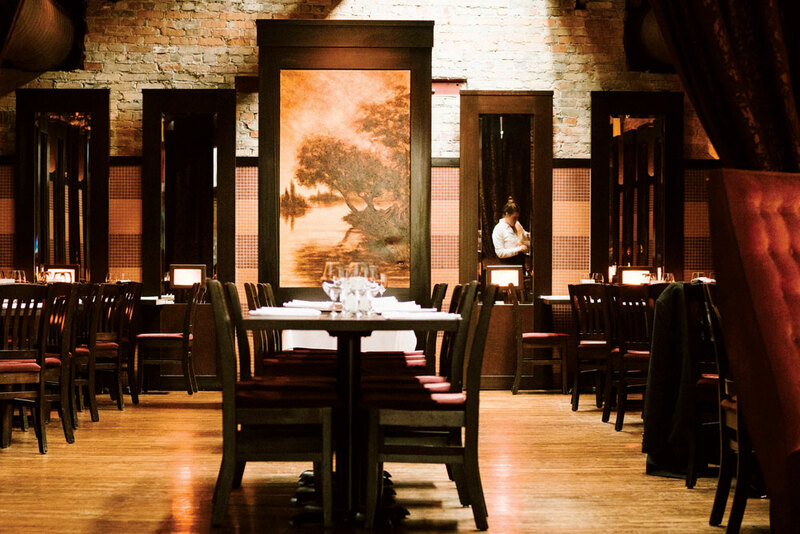 We have restaurant recommendations that will help you keep all of those resolutions. New Year’s resolutions are notoriously hard to keep. 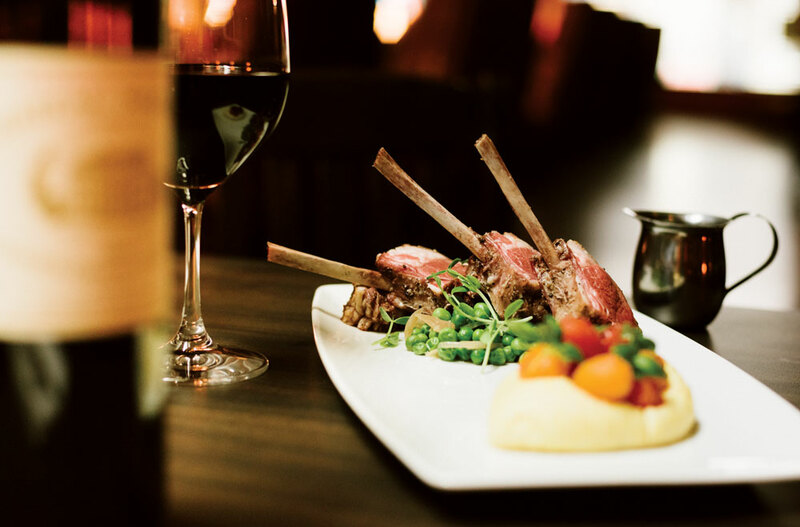 But, if your annual promise to better yourself can incorporate eating at some of Calgary’s most buzzed-about restaurants, you may be able to keep yourself on track. There are restaurants out there that will keep you on a healthy diet, contribute to the local economy and spend time with family and friends. This list of spots will help you fulfill your resolutions while treating yourself to a night out – all in the name of self-improvement, of course. Smoked Northern Divine sturgeon and caviar. The historical home once occupied by Fort Calgary Superintendent captain Richard Burton Deane is steeped in local lore. 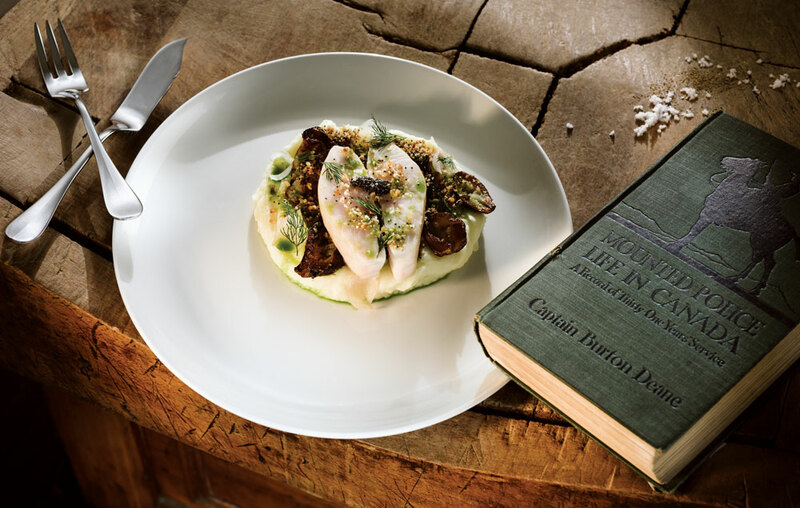 Now the next chapter in the landmark house’s story is being written with the newly opened Deane House restaurant. its place in the city. Pearlic Leng, server at Deane House. Calgary restaurants have been getting increasingly creative with their vegetable dishes over the last few years, but the city has always suffered from a dearth of strictly vegetarian restaurants. 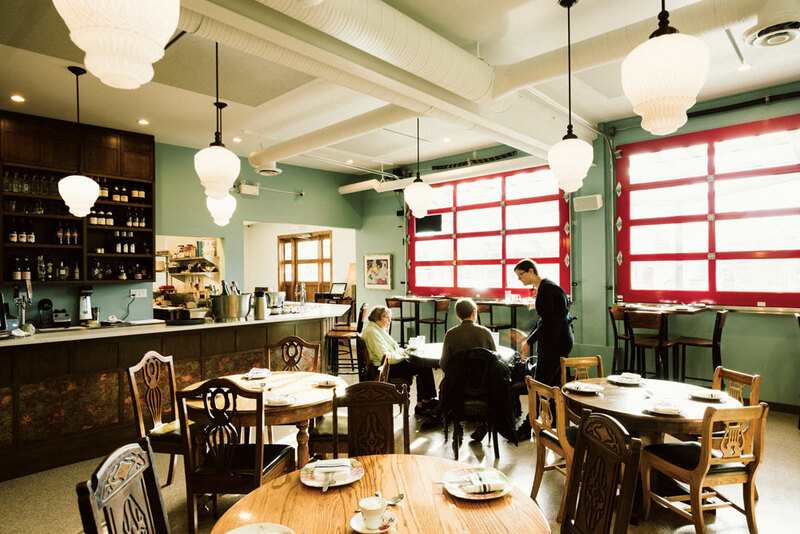 Alberta and Dwayne Ennest, the couple behind Big Fish and Open Range, wanted to remedy that with their newest venture, White Rose, a casual, vintage-styled restaurant that is 100-per cent vegetarian. The concept is pretty simple: the menu lists plates that go for either $8 or $18, all of which are designed for sharing. What isn’t simple are the menu items themselves: dishes like yellow beet risotto cakes with plums and goat cheese, fennel with grilled apple and saffron cream and roasted artichoke with a cashew-milk sauce are brimming with complex flavours that many wouldn’t expect from vegetarian food. Ironically, the Ennests have used the excess space in front of White Rose to set up The Coal Shed, a “permanent food truck” that serves burgers and barbecue. Diners can sit at one of the communal tables on the east side of the restaurant to order off of both menus. After all, the best resolutions require a little balance. 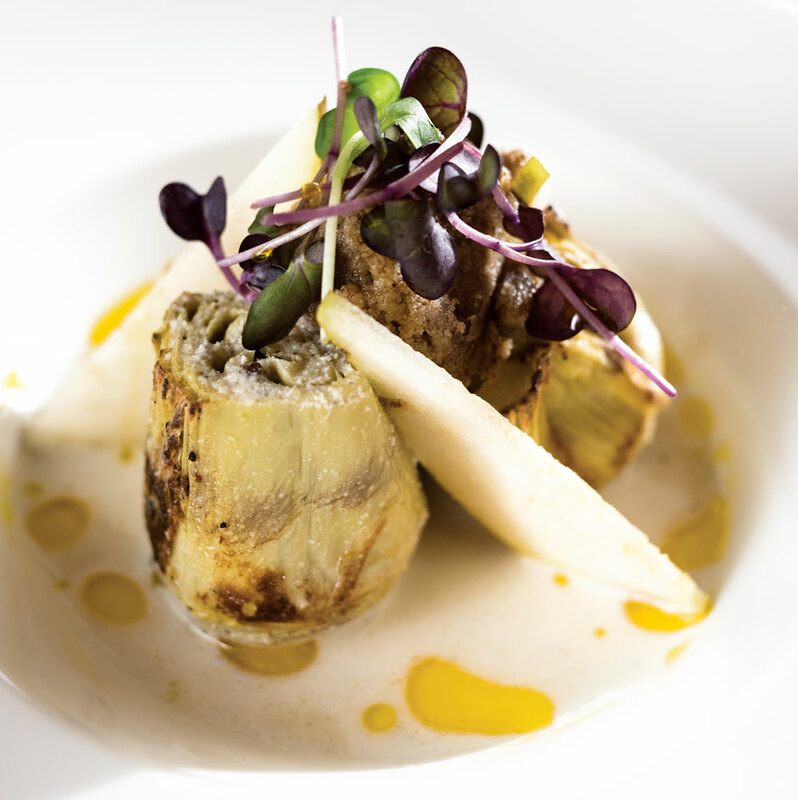 Roasted artichoke with pear, chestnut, rosemary and cashew-milk sauce from White Rose Vegetarian Kitchen. The Meat Platter, which includes six types of meat, as served with sides and cocktails. Traditional barbecue – we’re talking the stuff that comes out of a smoker, not off a backyard grill – is meant to be shared. 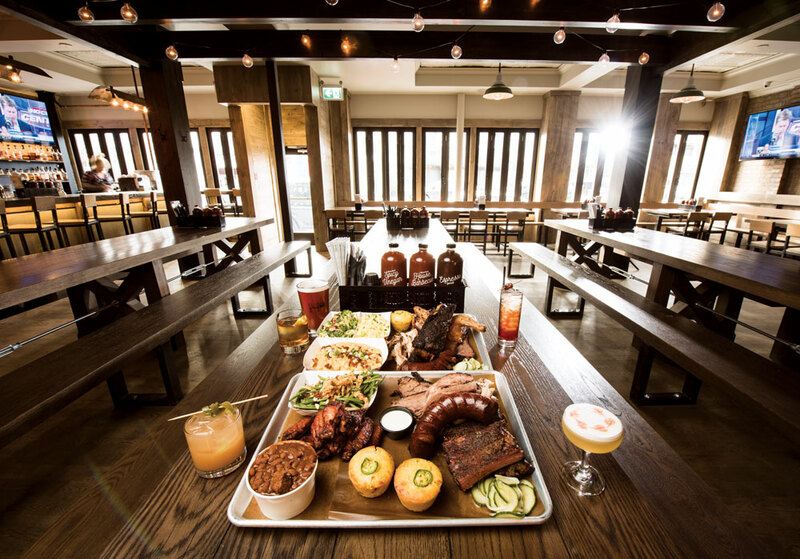 Take a trip down to Texas, the spiritual home of barbecue, and you’ll find big platters of smoked meat served with buckets of beans and coleslaw plopped down on picnic tables for big groups to share. The social aspect is almost as important as the food itself. 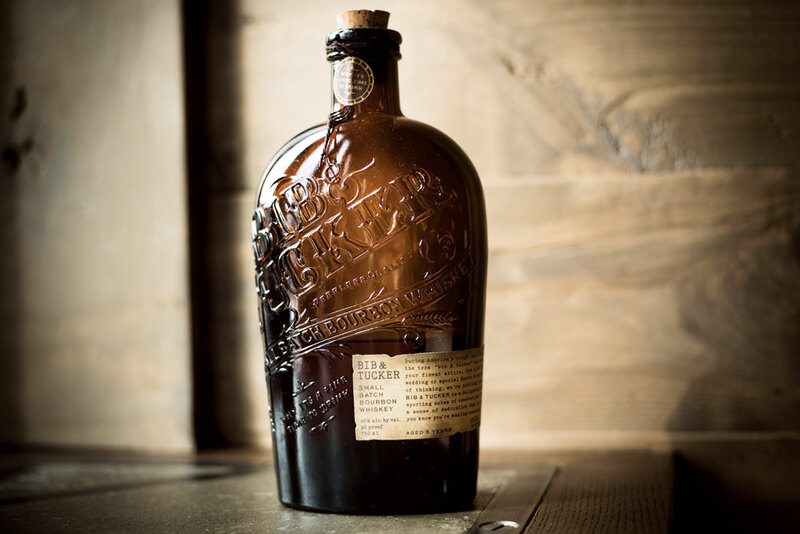 At least that’s what the folks behind Kensington’s Hayden Block Smoke & Whiskey learned when they travelled stateside to hone the concept of their new restaurant that specializes in Texas-style barbecue and a wide selection of American and international whiskeys. The front part of the restaurant is dominated by long communal tables that sit up to 20 – perfect for friends and family to convene at, or for smaller groups of strangers to sit around and get to know their neighbours as they pass the barbecue sauce. But it’s the food that really brings Hayden Block patrons together. Chef Dave McAuley smokes his meat for up to 16 hours and makes it fresh every day, selling off any leftovers at half price after 10 p.m. Most of the meat on the menu – brisket, pulled pork, turkey breast and pork ribs – are sold by the half pound (with hot links, half chickens and massive beef short ribs on the bone sold by the item) and are presented on sharing platters alongside classic sides and starters such as watermelon-and-mint salad and McAuley’s outstanding smoked chicken wings. Share a little bit of everything amongst a big group, or take a gander at what the people beside you are having (and ask them what their favourites are) before placing an order of your own. Personal evolution and growth can be difficult for an individual, but it can be even harder for a restaurant. When Clayton Morgan, owner of The Belvedere, saw the local restaurant scene – especially that on Stephen Avenue – changing around him, he knew he needed to change things up if he wanted his restaurant to survive. Nearly two decades old, The Belvedere was elegantly old-school, but that vibe wasn’t bringing in younger, more adventurous diners anymore or the downtown business crowd that has thinned out in general. 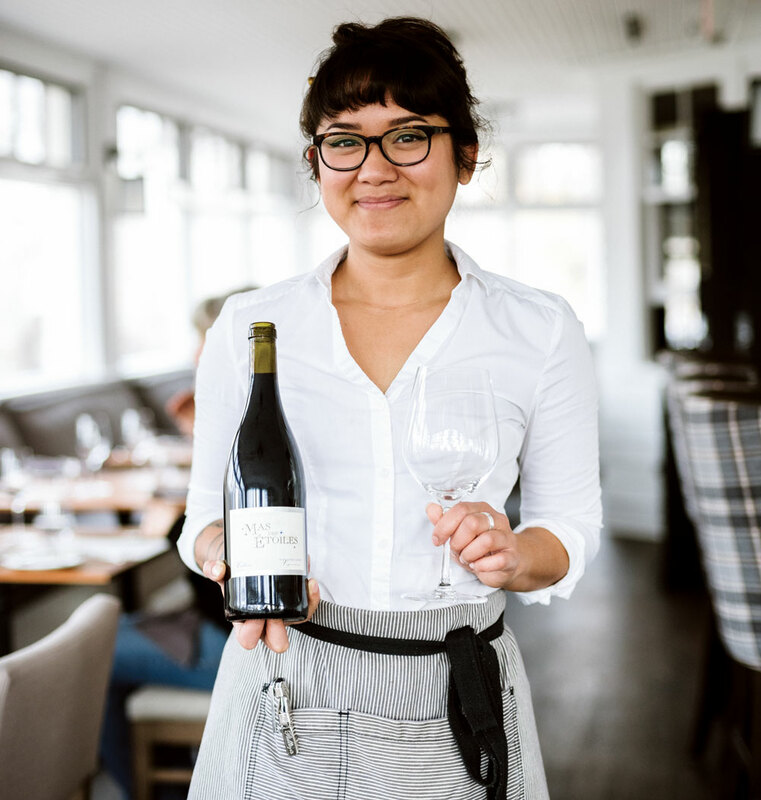 The result is a menu that won’t put off Belvedere’s customers who are used to more traditional fare, but now they’ll get a potato mille-feuille with their beef tenderloin in place of more standard steak frites, and pickled charred shallots alongside their rack of lamb. That, coupled with a few decor changes to soften up the look of the place (Morgan got rid of the dining room’s white tablecloths so people would feel a bit more relaxed), has allowed The Belvedere to hold onto its place as one of the great fine-dining restaurants in the downtown core. Alberta lamb rack with pickled charred shallots.